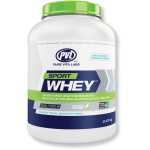 Whey is an excellent source of protein and has the highest biological value (B.V) compared to any other rich in protein food. 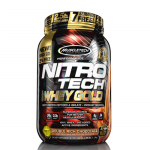 This practically means that the ratio of amino acids contained in whey protein is excellent for muscle reconstruction as it is absorbed and used in a very high percentage by the body. 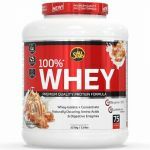 There are numerous studies demonstrating the usefulness of whey protein in boosting immune system, restoring muscle post-workout, enhancing metabolism and supporting fat burning. In periods of intense dieting, with low carbohydrates intake, whey protein protects your muscles from catabolism and fortifies your body against depression.